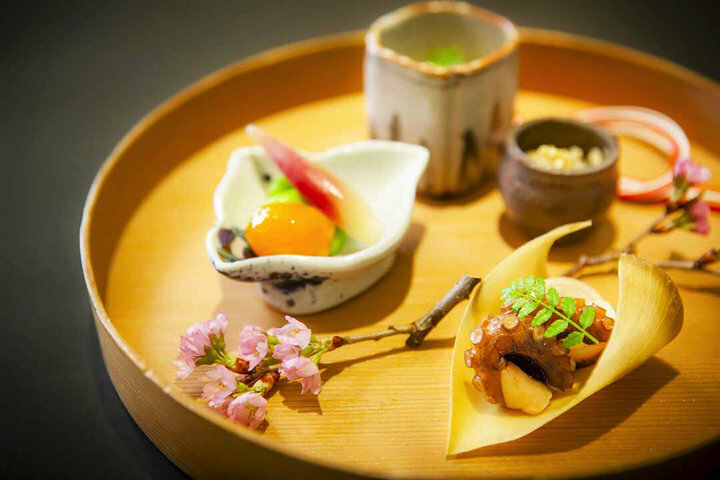 At this Kyo-style 'Kaiseki' (traditional Japanese course-based meal) restaurant, the quaint surroundings that you encounter upon arrival will make you feel as if you have stepped into Kyoto. 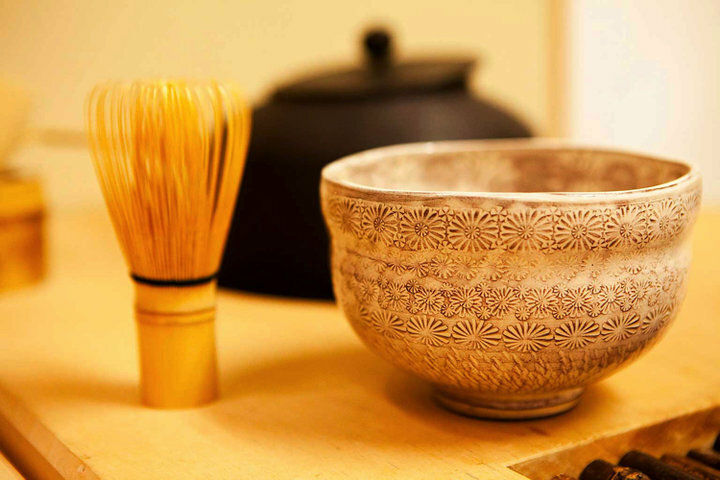 Starting with the use of Kyoto-grown vegetables, all of our ingredients - even the most basic elements such as soy sauce and miso - are carefully-selected from Kyoto, and even the tableware designs add to the Kyoto-style atmosphere. 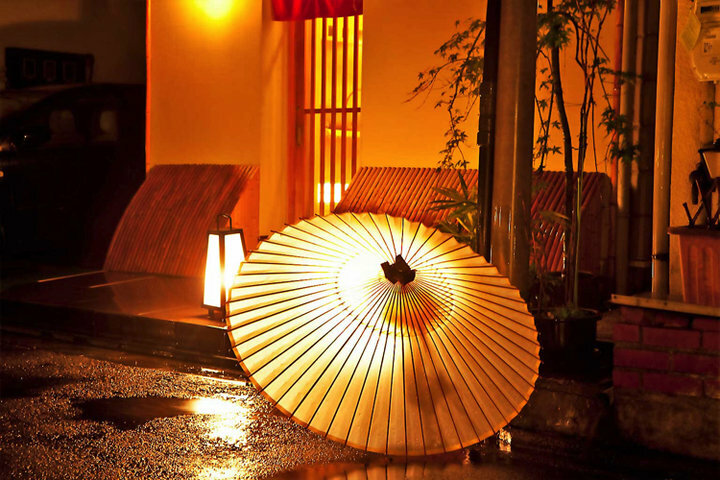 Wherever you look, it it easy to see owner Mr. Okada's vision of a space that is "more like Kyoto than Kyoto itself." 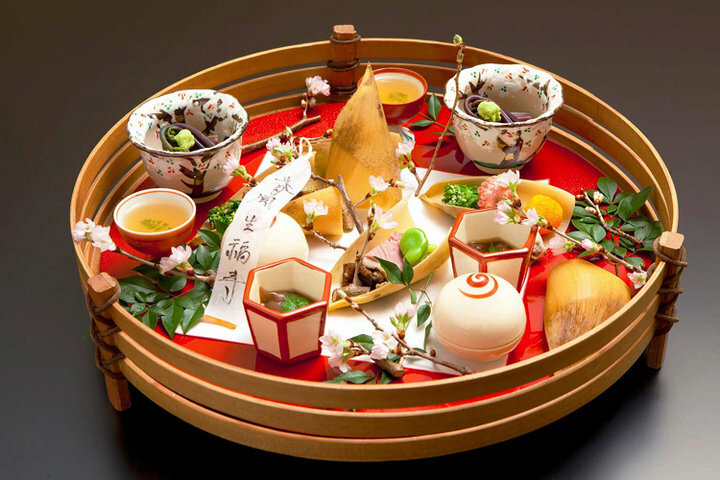 You will be served a Kyoto-style course consists of around 10 separate dishes based on 'cha-kaiseki' (a light meal served during tea ceremonies) and vegetarian diet. 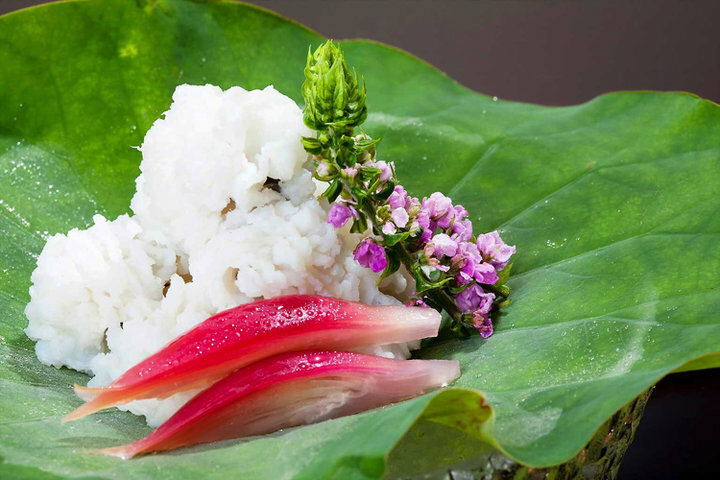 The rice, served in 'cha-kaiseki' style, is particularly exquisite. Because of the detailed care we put into meal preparation, we could serve only five parties per day. 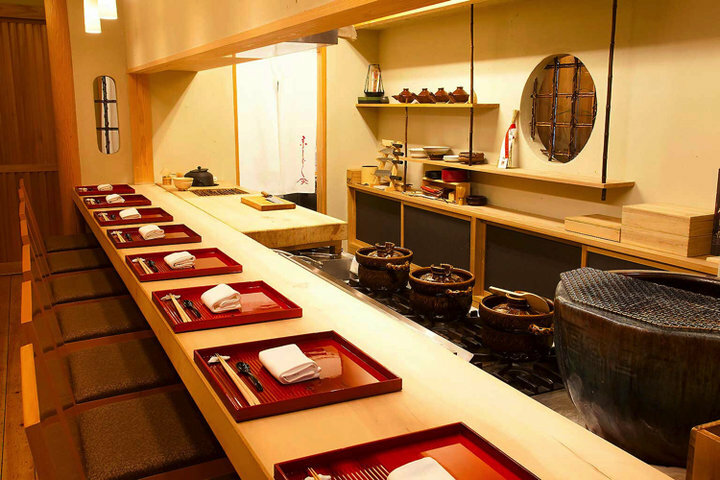 The seating consists of a counter made from natural wood, which has eight seats, and a private dining room at the back of the restaurant. 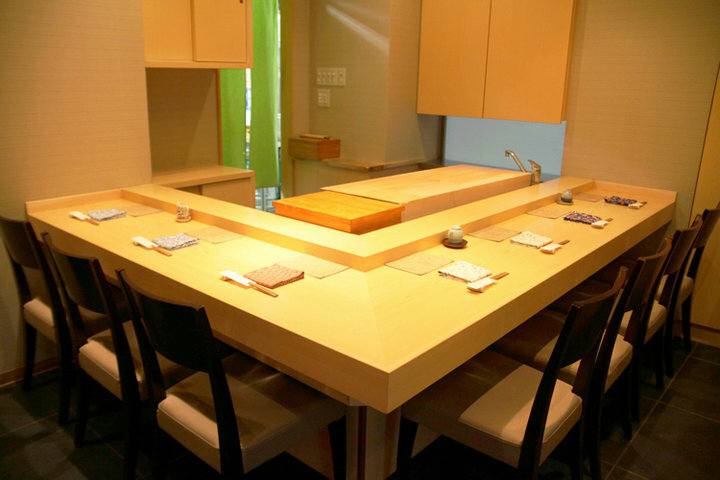 Enjoy Japanese-style cuisine while relaxing and watching the owner at work preparing your meal. 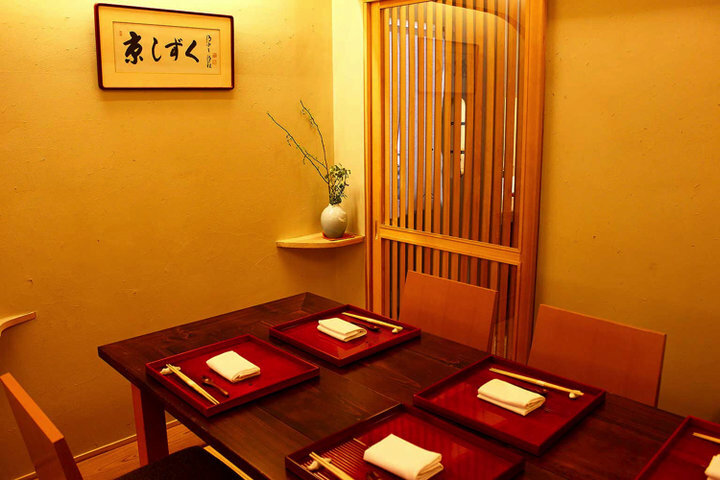 The restaurant is the perfect space to enjoy casual conversation with friends, and dining companions while being mesmerized by the enchanting atmosphere of Kyoto. The perfect setting to the perfect meal! 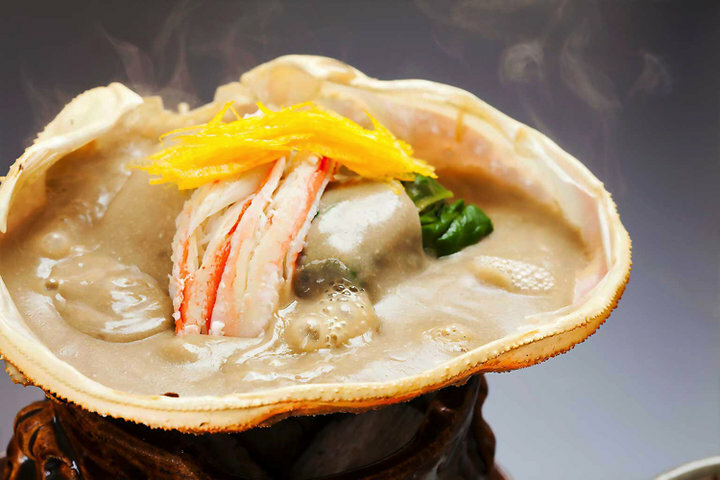 What an incredible culinary experience. Definitely one to remember!